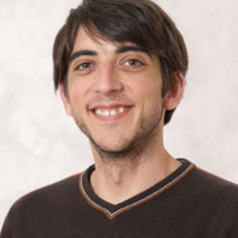 My research interests are mainly focussed on high-intensity laser-matter interactions, with particular emphasis to nonlinear and relativistic plasma physics, solitons and shock waves in plasmas, and laser-driven acceleration of particle beams. My research spans from theoretical modelling to laboratory experiments. Recently, a substantial part of my research activity has been dedicated to laboratory astrophysics, i.e., how to recreate and study astrophysical phenomena in a small-scale laboratory experiment. I have an extensive experience of ultra-high intensity laser systems, which include the Astra-Gemini and Vulcan lasers at the Central Laser Facility at Rutherford Appleton Laboratory in the UK, the HERCULES laser at the University of Michigan in the US (which currently holds the record for the highest laser intensity ever achieved), and the Laboratoire pour l’Utilisation des Lasers Intenses (LULI) at the Ecole Politechnique in France.